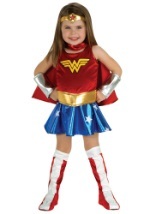 Take flight as an Amazon superhero in this classic Wonder Woman costume for kids! 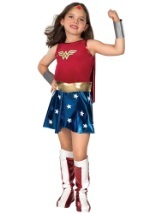 The girls superhero costume includes Wonder Woman's polyester leotard, with a blue lower section featuring white stars and a red upper section. 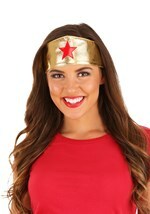 The accented gold band across the chest is attached. 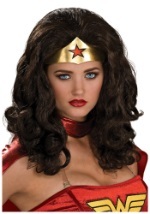 The leotard also has two ties that go behind the neck. 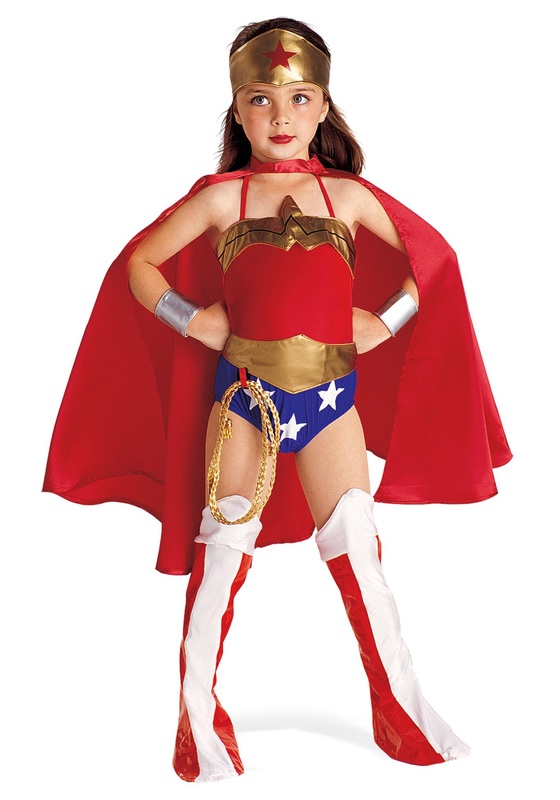 The separate large red cape secured around the neck with velcro. 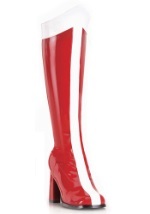 The headband, belt, bracelets, and boot covers all have the appearance of vinyl. 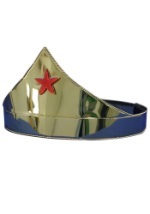 The gold headband has a red star and an elastic piece in back. 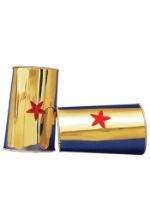 The gold belt is also separate and secures with a velcro piece, similar to the included silver bracelets. The golden lasso fits in a loop attached to the leotard. 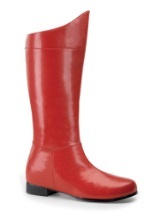 Finally, the red boot covers have a white stripe in front and white tops. 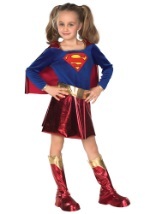 Check out all of our child superhero costumes for other great ideas!